If you're looking for a medium-sized pickup with outstanding resale and build quality, the Ridgeline may be just the ticket. A locking weather-resistant trunk positioned in the cargo bed floor is easily accessed via the dual-action tailgate, which flips down in the normal way or swings open like a door. Big body little space. Bed is way short. Like that bed door can open out or down. Do not like that it is very high but does not include runners had to purchase separately. Mileage not good. Do not like that ignition is not lit have to fumble around. Much trouble with rack & pinion. This car/ truck is only 4 wheel drive. Have never used it. The hooks for tying down items in bed are so very inconvenient. Have to be double jointed or a contortionist. Cannot go wrong with a Honda ridgeline! I love my Honda ridgeline! It is very reliable in the winter time and does excellent in snowy conditions. Also because it is one body unit, which is different from other trucks, it handle very stable and well on gravel roads! I have not had any problems with it in the 10 years that I have owned it. I stay on top of the oil changes and other schedule maintenance. It has lots of storage. You will love the trunk that is in the bed of the truck!! I like the performance and the repair cost. I like that it is not as impactful when driving on gravelly rocks, I have not had many issues with the car that I was driving, it is easy maintain and I like the performance. It has side curtain airbags and it. Makes my family and I feel very safe. I also like the way that the parts are not too costly. 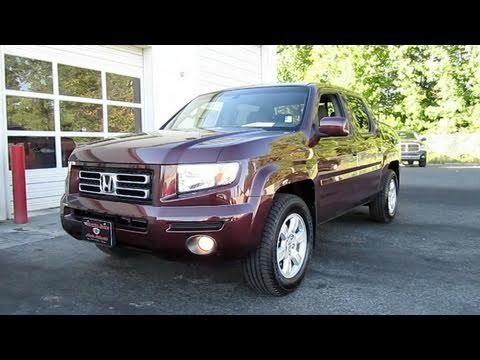 2008 Honda Ridgeline review - Buying a Ridgeline? Here&#39;s the complete story!